Welcome to Hogan Associates, the best place to search for Rhode Island real estate, condos and homes for sale. Search all RI real estate listings with pinpoint accuracy. Waterfront, water view, beach homes, homes with docks - it's all here by community or by property type. We also provide a variety of information and tools to help you make informed decisions about buying or selling Rhode Island property from your desktop, smart phone or mobile device. Check out current Rhode Island real estate market statistics below or do your own market search and make informed decisons about buying or selling your home or condo. Or mouse-over the Search button, above, and do specific property searches for new homes, bank owned homes, rentals, or docks for sale in Newport. Have a look around, and contact us with any questions you might have about Rhode Island real estate or our services. No question is too mundane - we want to help! Our agents handle a variety of Rhode Island real estate categories in every part of the state including Newport mansions and estates, luxury waterfront and water view homes. Hogan Associates can offer you expertise in REO bank owned properties and investment real estate from apartment buildings to shopping centers. Whether you're interested in downsizing, upgrading, investing or relocating, we have RI real estate agents with the experience to fit your unique needs. Register for free and enjoy unlimited access to Rhode Island MLS® property listings. View high resolution photos, aerial views of houses and condos, save your favorite property listings, or request a tour! Don't hesitate to contact us online or call (401) 680-6588 to speak directly with an agent at Hogan Associates. Newport RI real estate includes some of the finest beachfront homes and oceanview properties in Rhode Island. With bays and channels that are easily accessed, Newport offers world class sailing experiences. From luxurious modern estate homes to Bellevue Avenue mansions, as well as spectacular vistas from Newport’s harbor, it’s no wonder so many people consider owning Newport real estate. Jamestown, the second largest island in Narragansett Bay, has a quaint, rural feel to it and a historic central village. The Jamestown real estate market includes many vacation homes due to its popularity as a summer destination. Visitors and residents enjoy the Jamestown Yacht Club, golf course, and public and private beaches. 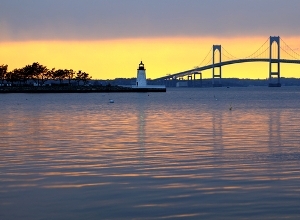 Middletown, located on Aquidneck Island, is a beautiful, oceanside community with attractive farmland. The Middletown Real Estate market is full of options for whatever your lifestyle is. View Middletown properties where you can pick your own fresh fruit and vegetables, take a walk in one of several protected sanctuaries, or walk along sandy beaches, breathing in the fresh ocean air. Don’t miss out on Rhode Island real estate opportunities including: affordable homes, commercial real estate, large homes with carriage houses, homes with pools, homes on acreage, ranch homes, homes with docks, condos, land, and many waterfront homes priced from under $200,000 to over 10 million. We are eager to tell you about Newport homes for sale, Rhode Island condo listings, beach houses, or whatever captures your heart. Scroll down and search for properties by community. Or view all Rhode Island MLS listings. 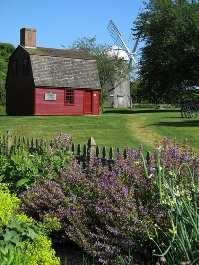 You may also like to read about Rhode Island and discover interesting facts about the area! If you register you can have new listings sent to you each day. Just save a search, and let your dream home find you! Save as many searches as you like, bookmark your favorites, and share them on social network sites like Facebook! Check out our How-To Page for more info. Our team is dedicated to putting our experience and local knowledge to work for you in all steps of your real estate transaction, from start to finish. Find out why Hogan Associates Real Estate is one of the most respected teams for buying and selling in Southern Rhode Island. We deliver the very best in Newport area real estate, because you deserve no less.